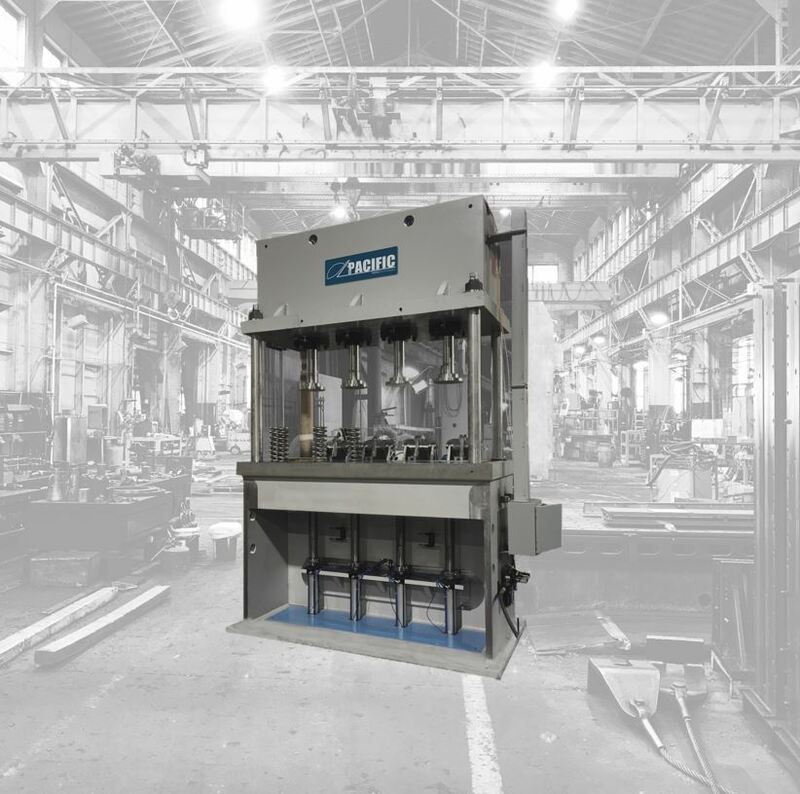 4-Post hydraulic presses, can be designed to accommodate dies of any size and are well suited for part manufacturing that requires superior rigidity and precise bed-to-ram parallelism. 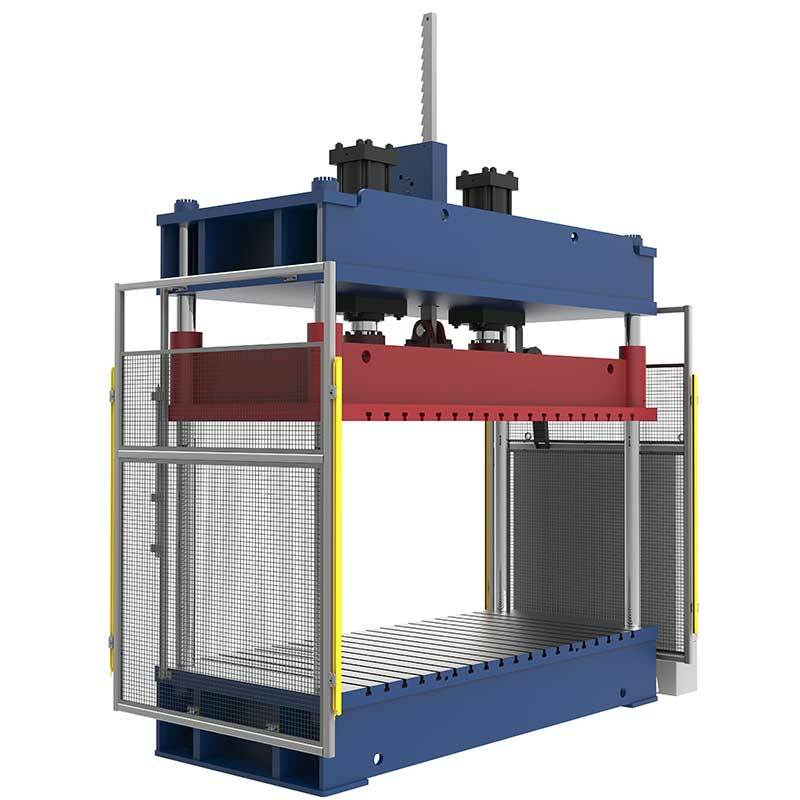 4-Post hydraulic presses are advantageous because they typically more economical than gib-guided presses and allow four-sided access to the working area. Pacific Press offers a wide variety of hydraulic 4-Post hydraulic presses up to 1,500 tons in capacity. 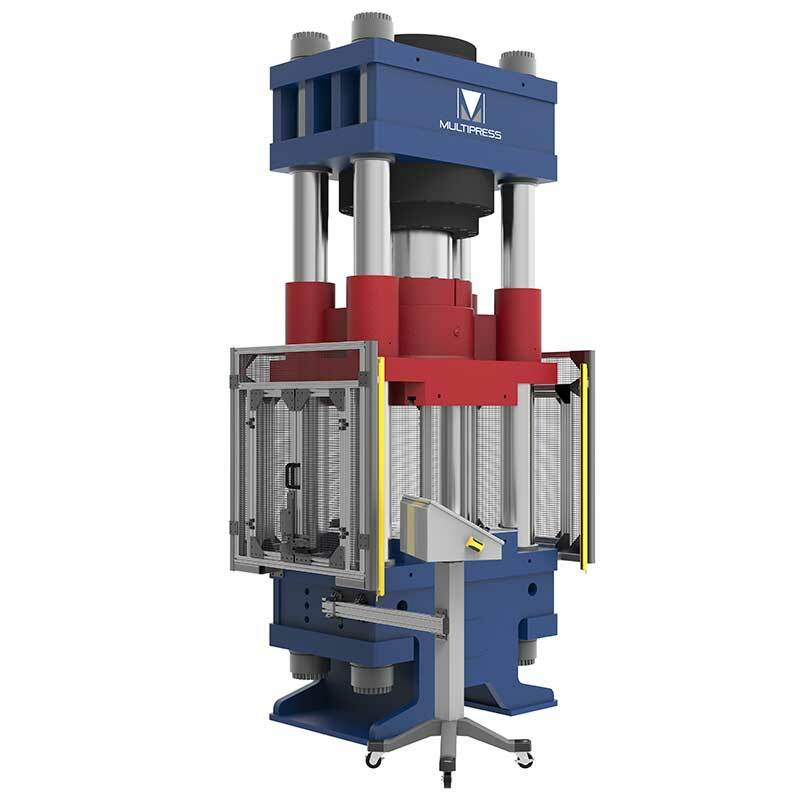 While we offer several “standard” sizes based on typical use, Pacific Press routinely builds customized 4-Post hydraulic press models based on individual client application and production requirements. Whether you are integrating a feeder, conveyor, or robotics, the experts at Pacific can help easily integrate your Pacific Press into your production line to get you up and running quickly. To learn more about how you can customize your 4-Post press from Pacific, view the brochure at right or submit an inquiry on our Contact Us page. Our equipment experts look forward to assisting you!